A complete line of certified organic algae obtained manually in Europe, dried at low temperatures. All references are guaranteed without gluten. 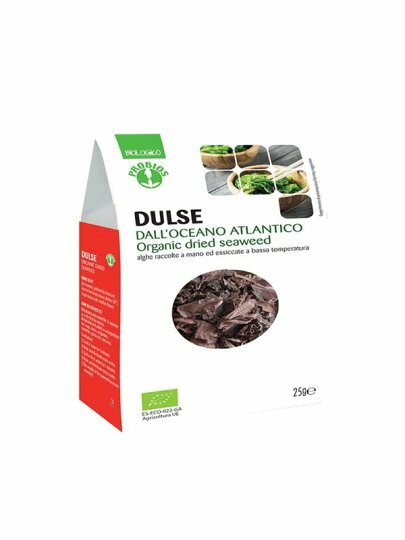 Dulse (Palmaria Palmata) is an algae with a typical red color collected by hand and dried at low temperature. Its consistency is crunchy, it is a typical taste of sea crabs. Cook for up to 15 minutes and add as an appetizer to the main course or as an ingredient in cooking: soups, raspberries, croquettes, pasta, rice, cous cous.